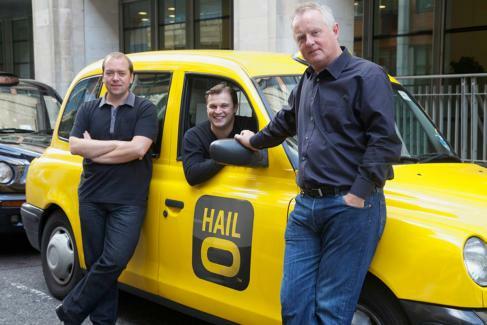 We meet Russell Hall, one of the founders of the legendary British cab-hailing app, Hailo. "Behind every cab driver there is an entrepreneur. We've [sic] got writers, actors, musicians… Because every cab driver has done something different before this. ." Says Russell Hall. He's not wrong, the story of Hailo's rise, is all about a trio of people that looked beyond their lot and dreamed. The product of graft, culture and luck - but measured luck - Hailo is a story of British ingenuity, but not from the usual quarters. We meet with Russell at a bustling London coffee house - one that also sells tempting flacons of fortified wine, we resist. As we sit sipping coffee on an autumnal day, it's already clear that this man is at home amongst the best of British. Hailo, already a roaring success, has embarked upon an expansion programme and, from what we've seen, it could also be launching more products in the near future. That's why Russell Hall is our second "Man to Watch" in 2014. We'd have forgiven Russell had he become unavailable and aloof - but the opposite is true. He's the epitome of team player. He's so much of a team player that "salt of the earth" wouldn't do him justice. We'll not use that "rags to riches" moniker, either, because anyone that's taken a black cab knows that your average driver is far from cerebrally challenged. That makes Russell and his kind the very definition of "People Persons". We're lucky, because that's given us a chance to chat and hear the story straight from one of the horse's mouths. "If anyone shows an interest, I think it's worth giving them time. I'm not always around, I'm in different cities. But if anyone shows an interest, we set a date and I aim to stick to it. " He informs. 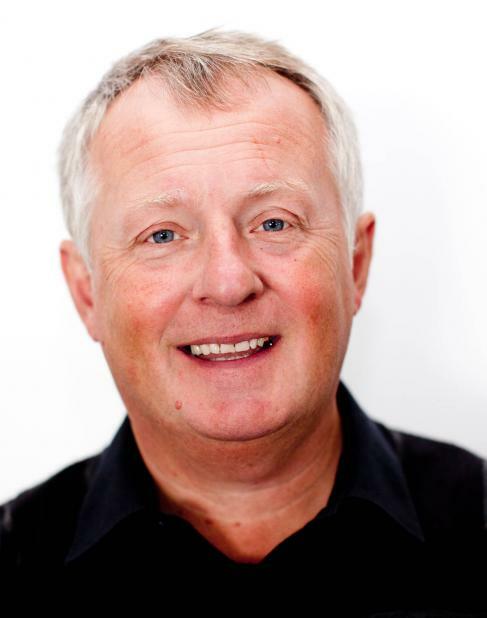 Russell founded Hailo alongside Gary and Terry. Never more East London-sounding trio of cabbies could you find. And their origins lay in more than just the urge to make millions. As with many a good business, this wasn't just about money, it was about the mission. "We were [sic] trying to make our shifts more efficient…Roughly speaking, there's around 7,200 dead miles, per year done by a cab driver on their shifts." He said. Bet you never considered that? The fact that Hailo is more than just an easy way to get a quick cab (in two clicks, Russell reminds us), it's eco-friendly. It's time-saving for both you and the roads. As with many a startup, Hailo didn't just arrive fully formed - no. The guys had already founded Taxi Light in 2009. That idea was also quite simple, but equally in tune. Passengers could basically suggest a price they were willing to pay for a journey and a driver, free of a fare, could put their hand up and take the price. That idea evolved, just as society did. If I can inspire someone not to leave university and get wrapped up into a bank and get lost. I want them to blossom… All of a sudden, there's recognition. It's not about Silicon Valley anymore. We've got our own Silicon Roundabout….all it needs is a bit of funding, bit of expertise and, you know, it'll power that. "One of the big things we did notice, back in 2009, with the advent of the smartphone [sic] - there was less communication between the passenger and the driver. I think that's what really sparked the idea off… Before that, there was always - "How are you doing, driver/mate?" … There was less conversation." Said Russell. It's funny how some of the best ideas are ignored. Even the great James Dyson was rebuffed in his many iterations and attempts until he hit the sweet spot. The same, it seems, goes for the three black cab entrepreneurs. Even Peter Jones et al missed out on the idea. "I actually applied to Dragon's Den, quite bizarrely, I never heard back…Last year when the Olympics was on, James Caan's PA got in touch. I started laughing at the PA - he could been there at the beginning." What we love most about this story is that it's entrepreneurial at its core. Not only were the trio of cabbies cooking up their plans, but other businessmen, savvy businessmen, had picked up on their willingness and expertise to disrupt the market. Russell and his partners then met Jay Bregman, of Ecourier, and his two lieutenants, Caspar Woolley - an ops expert, and Ron Zeghibe - a media guru, that things really started to cook for them. The rest, as they say, is history and the app is a storming success. Russell, humbly, attributes much of the apps success to those that joined the team and helped deliver the vision. "I always talk about my team… I am a massive team player and I wouldn't be where I am today without the team." He adds. He's not caught up in it, though. In fact, Russell is going out of his way to meet and help young entrepreneurs. Beyond Hailo's growing borders, Russell and his team are being team players. They are projecting their culture. "If I can inspire someone not to leave university and get wrapped up into a bank and get lost. I want them to blossom… All of a sudden, there's recognition. "It's not about Silicon Valley anymore. We've got our own Silicon Roundabout….all it needs is a bit of funding, bit of expertise and, you know, it'll power that." He says, proudly. It probably wouldn't surprise you to know that Russell is a massive football fan. West Ham no less. Beyond the app business Russell uses his love of football to entertain his colleagues - he's podcasting. It's called The Cab Cast and is also proving to be a bit of cult sensation. Hailo is now in the lauded group of Future50 and, despite our opinion on what the UK.com environment really needs, that's justified. Hailo is epic. So successful, in fact, that Russell has met the PM and the PM knows what Russell has done - a proud Englishman that just wanted to make a difference. "I said, David, do you wanna see the best invention to hit the UK for years? Which stopped him in his tracks. His assistance said she loved Hailo and used it all the time. Then, further on, we get invited along for the Future 50. "Never thought i'd get to Number 10." Said Russell of his meeting David Cameron in New York and the subsequent invite to No.10. "...A romantic story of three London cab drivers, wanting to change something so powerfully, giving people the ambition that if you've got an idea and you meet the right people, get the right backing, you can succeed. I wouldn't want to change that." If we were betting men, we'd be tempted to nip down to the local betfred and put a special on: Hailo to Sponsor West Ham before 2020. The odds look extremely good, don't they? For the more tech-minded reader, why not pay a visit to our sibling site - BritValley.com.